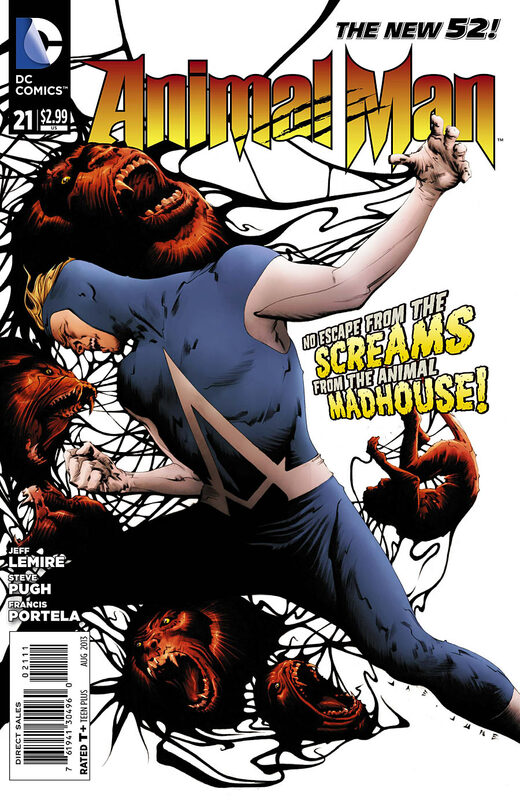 Animal Man has managed to make it to issue twenty one when many other books, some starring more popular characters, have all met their fate at the chopping block of DC editorial. Whats more amazing is that Animal Man has maintained the same writer this entire time, when virtually every other book has changed creative teams more often than you change partners at a square dance. Does Animal Man still have the quality to justify still being published? 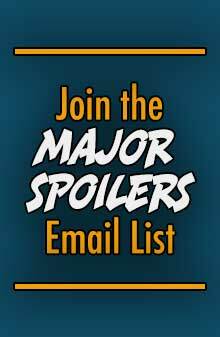 Find out with your Major Spoilers review! Takes advantage of the comic book format effectively. 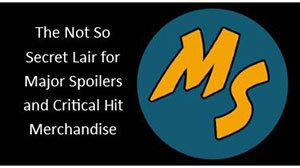 Introduces a new, interesting villain. Previously in Animal Man: Animal Man has gone into a depression after the death of his son, Cliff, at the hands of agents of The Rot (the elemental force of death in the DC universe). His wife blames him, and has taken their daughter to go live with her mom. I am always astounded by how Lemire is able to make the characters in Animal Man seem very human and down to earth, a trend that continues into this issue. We see both Animal Man’s wife, Ellen, and his daughter, Maxine, trying to deal with the death of Cliff in their own separate ways that both make perfect sense for their characters and feel like real reactions to have within a universe full of super powered beings. Animal Man himself also decides to go out and start fighting some crime again, to do something real and meaningful, while the rest of the world is focused on his Oscar for his role in the movie Tights. 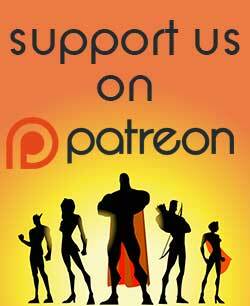 Its this new venture into heroism that introduces the next, and rather inventive, antagonist; one I can’t wait to see more of. Lemire plants a few in universe “tweets” throughout the book to serve as both the citizen’s reaction to some of the events transpiring and as a way of fleshing out the world. They are very effective at serving as both. I hope Lemire experiments with more unconventional means of story telling that continue to take advantage of the comic book format. The art for Animal Man has always been very stylized, and while its gone through a handful of different artists, it has always managed to maintain the same overall style. Its a style that I find very enjoyable, but is not for everyone. Some of the facial expressions in this issue are a bit awkward; almost too exaggerated at times to the point of cartoonish caricature. All of the crazier concepts in this issue look fantastically on point though, so it more than makes up for it. If you have been reading Animal Man, then keep reading it, because its just as excellent as always. If you wanted to start reading Animal Man than this is as good of a jumping on point as any, since it seems to be the start of a new arc. So pick it up!